Many things can cause this condition, including foods, insect bites, and medicines. The condition also can run in families. 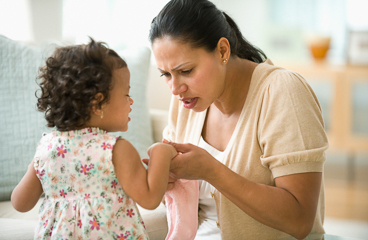 Sometimes you may know what caused your child's reaction, but other times you may not know. Have your child take medicines exactly as prescribed. Call your doctor or nurse call line if you think your child is having a problem with his or her medicine. You will get more details on the specific medicines your doctor prescribes. Some medicines used to treat angioedema can make children sleepy. See that your child avoids foods or medicine that may have triggered the swelling. Take a cool bath. Or you can place a cool, wet towel on the swollen area. Your doctor may prescribe a shot of epinephrine for you and your child to carry in case your child has a severe reaction. Learn how to give your child the shot, and keep it with you at all times. Make sure it has not expired. If your child is old enough, teach him or her how to give the shot. Enter S902 in the search box to learn more about "Angioedema in Children: Care Instructions".